From the breakfast table to the finish line, you are constantly making nutritional decisions that have a direct impact on your running. But what are you basing those decisions on? In order to make the best choices, you need to understand what your body needs before, during, and after runs, as well as during all those hours you aren’t running but wish you were. In general, runners’ diets need to derive a higher percentage of calories from carbohydrates than the diets of non-runners. The more you run, the more carbohydrate calories you need. And while this may seem like a free pass to eat pastries and candy, it’s anything but. To get the most out of your running, your daily diet (outside of the time you spend training) should be built around whole-food and lightly processed sources of complex carbohydrates, like the ones on this list. Complex carbs are broken down slowly by your body and provide steady energy throughout the day. Natural sources, like fruits, vegetables, beans, and whole grains, also pack in a lot of fiber and nutritional value that goes beyond just fueling your muscles. So, if you’re not already basing your diet around these foods, it’s time to start building a better nutritional foundation. Just be sure to integrate new foods gradually and give your digestion time to properly adjust. Some runners eat before they train, and others don’t. Is one group right and one group wrong? No. It simply depends on what your training goals are and how your body responds. Those who run before breakfast often claim this practice burns a higher percentage of body fat than running after eating, and that this approach trains the body to burn fat more efficiently and rely less on glycogen for fuel during long-distance training and racing. 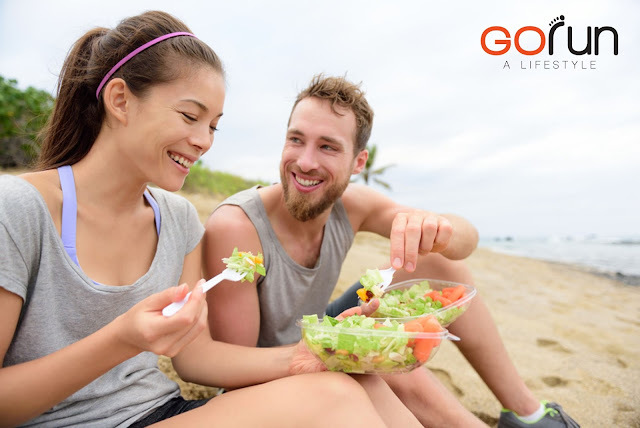 This approach gained widespread popularity when Bill Phillips published his 1999 book Body-for-Life. In the book, Bill makes a case for pre-breakfast cardio, based on higher rates of fat burning due to lower stored glycogen levels and blood insulin levels that make fat burning more efficient. Those who run after breakfast or simply run later and don’t want to spend all day starving see it a different way. For this segment of runners, having extra fuel in the tank has physical and psychological advantages. If you fall into this group, shift things up by moving away from the complex carbs that make up your general diet to easier-to-digest simple carbs for pre-workout meals. These can come in the form of gels, sports drinks, and energy bars, or natural sources, like honey, fruit, and yogurt. Either way, the goal should be to get fuel flowing to your muscles, so your tank is full and ready for training. While I know many pre-breakfast runners who are happy and successful, I have always prefered eating (usually 45 – 60 minutes) before I head out for a run. I eat a mix of complex and simple carbs that I know my body can handle without issue. I feel it gets my digestion going and helps train me to utilize food better while running. This is something that becomes increasingly helpful as you get into longer distances where you spend more time eating on the run. As soon as you’re done running, your body starts the recovery and rebuilding process that will get you ready for your next run. If you’ve run long and/or hard, your glycogen supply will be depleted and your muscles will be eager for the nutrients they need to grow bigger and stronger. It’s impossible to overstate how important it is to jump-start your recovery with the right nutrition. Your post-workout nutrition plan should have three primary goals. No matter how diligent you were about drinking during your training, your body is going to need additional fluids once your session is done. This helps your body flush waste products, digest your post-workout meal more efficiently, and speed critical nutrients to your tired legs. Before you try eating anything, drink a glass of water, sports drink, or fruit juice. Fast-acting simple carbohydrates, help get your body’s refueling process started right. It is best to eat recovery foods within the first 20-30 minutes after your workout. This gives your body time to digest and deliver nutrients during the chemical window when your muscles are most receptive to absorbing them. This is where many well-intentioned runners unbalance their recovery nutrition. They know protein is essential for repairing and building muscle, so they overdo it. The best strategy for post-run recovery is to consume a mixture of carbs and protein in a 4:1 or 3:1 ratio. You should aim for about 20 grams of protein in your post-run meal, depending on your weight. Balance this with 3 to 4 times as many grams of carbohydrates, and your muscles will have everything they need to prepare for your next run. It may seem strange that we looked at post-run nutrition before we address the run itself, but there’s a reason I chose to break things down this way. Up to this point, we have been talking about eating in controlled, stationary environments, like your kitchen, desk, or post-run park bench. Once we include the act of running, things can get complicated. 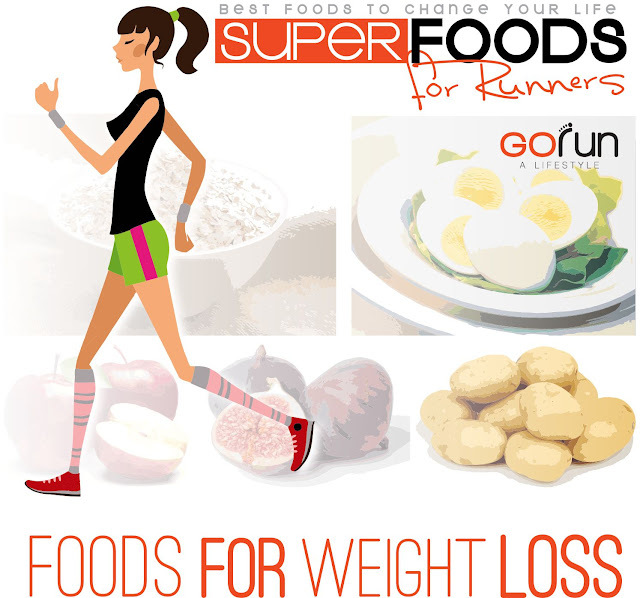 From a general standpoint, you want to consume easy-to-digest simple carbohydrates while running. The most common sources runners reach for are sports drinks and gels. With no chewing, these liquid calories are easy to get in your mouth and easier to swallow than solid foods. In addition to calories, your in-run nutrition should focus on hydration and sodium replenishment. The specific amount of liquid and salt you need will depend on your personal physiology and the environmental conditions you face during your run. Experiment with taking in more or less liquid during training runs and see how it affects your body. Also, experiment with sports drinks that contain higher levels of sodium, or try supplementing with salt tablets. Keep notes about how much you eat and drink, the weather conditions, the intensity/duration of the run, and how you feel during and immediately afterward. Over time, these notes will show you when you are eating and drinking enough and when you aren’t. Training is the time you should be figuring out and practicing the nutrition strategy you plan to use when racing. Resist the urge to cut back on calories during your long runs because you want to lose weight. You will run better and see better results on the scale if you cut those same calories from other parts of your daily diet. If you’ve practiced your nutrition strategy during your training runs, eating right while racing should be easy. Unfortunately, the added intensity of racing makes it easy to completely forget what you learned during all those training runs. Here are few tips to keep you on track. If the aid stations offer different nutrition than you’ve been training with, I strongly suggest you plan to carry your own. This can be difficult in longer races, and is why it’s best to plan ahead and train with the same nutrition you’ll see on the course. Note: I started this tip with “never,” but if you are in the middle of a long race with nothing you’re used to at hand, you are probably much better off eating or drinking something unknown than trying to tough it out. Just be ready for digestive complaints from a stomach that may not appreciate the surprise. If you wait to eat or drink until you’re hungry or thirsty, you are setting yourself up for disaster. The extra level of exertion on race day can suppress your body’s hunger and thirst indicators more than you’re used to. If you wait until your body tells you it needs something, it will be too late. Instead, plan out how much you need to consume based on what you learned in training. Schedule that out over 10 to 30-minute periods and hold yourself to your plan. In long races, it’s easy to stop consuming fluids and calories once you get within a few miles of the finish. You may be sick of the taste of gels or afraid to break stride to grab a drink and get it down, but you should do it anyway. Even if the all the calories aren’t processed before you cross the line, this late-race nutrition still has significant benefits. Sucking down one more gel might convince your race-weary brain to let you run faster and finish with a harder kick. Plus, any calories and fluids that don’t get processed on the course will serve as the beginning of your recovery nutrition and help avoid a post-race crash. So, how does your nutrition measure up? If you feel like you’re way off track, don’t panic. It just means there’s a lot of room for improvement. Start feeding your body what it needs when it needs it, and you’ll be a healthier, happier, faster runner in no time.